Posted on January 28, 2016 by David Silver. Yesterday I had the awesome opportunity to have lunch with a friend at the Google X offices. Checkout the cool car in the lobby! Posted on January 26, 2016 by David Silver. Over at Backchannel, Steven Levy has an amazing behind-the-scenes look at Google’s self-driving car test facility on the grounds of the former Castle Air Force Base in Merced County, California. The piece is titled “License to (Not) Drive”. Read the whole thing. Posted on January 25, 2016 by David Silver. As I’ve done more work on autonomous driver assistance system (ADAS) components – on topics such as computer vision, localization, and controls – one topic that keeps popping up is the prevalence of C++ and, to a lesser extent, Python. This is in some ways a stop backward, because I have worked in Ruby for the last five years, and Ruby is a powerful and concise language, especially with the Rails libraries layered on top of it. Getting something done in C++ is considerably more verbose and open to bugs. That said, C++ is fast. All of the beauty of Ruby comes at the cost of processes running behind the scenes to facilitate the beauty of the code. Garbage collectors, dynamic memory allocation, code compilation – all of those things take time. In a car, time is crucial, far more so than on the web. 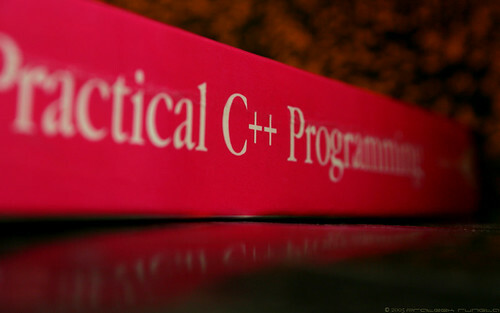 So C++ it is. Posted on January 24, 2016 by David Silver. According to CNN, Volvo pledges that by 2020, all of their new cars and SUVs will be death-proof. Volvo has made a shocking pledge: By 2020, no one will be killed or seriously injured in a new Volvo car or SUV. Fatality-free vehicles are not unprecedented. In fact, there already are some, and they’re not just Volvos. According to data from the Insurance Institute for Highway Safety, there are nine vehicle models — including the Volvo XC90 — in which no one in the United States died in the four years from 2009 to 2012, the most recent period for which data is available. However, note that drivers will still retain the ability to commit vehicular suicide. Posted on January 22, 2016 by David Silver. Smartbe, which is marketed as “the first intelligent stroller in the world,” uses a motion-tracking sensor to follow you wherever you go, allowing for hands-free strolling or an assisted push. The company is here, and you can purchase one here.